The V-Strom has made a return, hopefully to try and capture some of the adventure bike market share, dominated by BMW’s GS range. 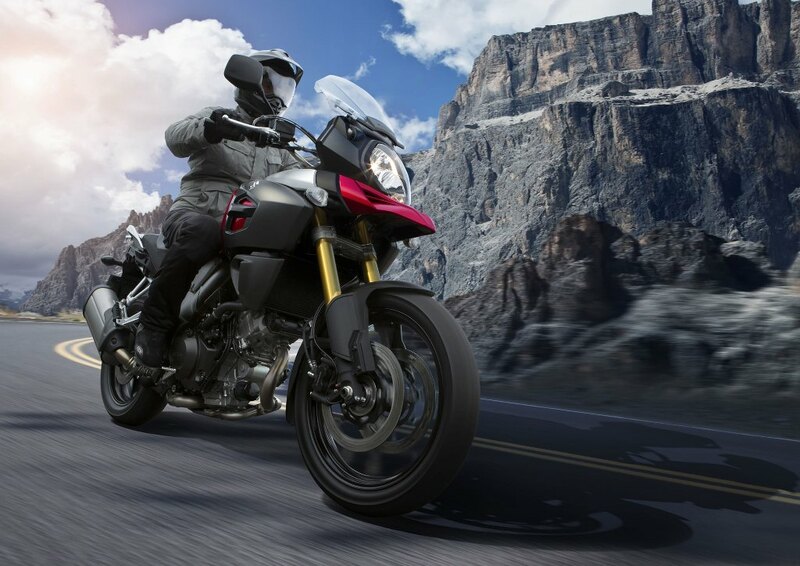 However, with the introduction of various adventure bikes from a variety of manufacturer’s, this market segment is becoming increasingly competitive, as I am sure BMW has come to understand. 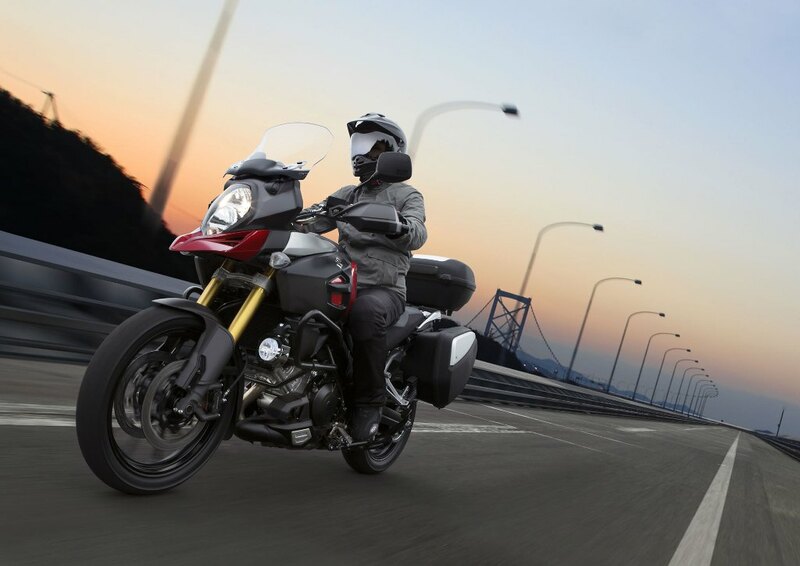 The new V-Strom features a 90° 1037cc V-Twin producing a healthy 74kw and 103Nm. The mid-range grunt provided by the revised twin makes low end acceleration effortless. Rely on the torque band and you can shift through the gears up to cruising speed without a moments hassle. On review, I managed to average a fuel consumption figure of 6l/100km, bearing in mind that I wasn’t trying to be economical. Suzuki claim consumption figures of less than 5l/100km. Although this may be possible, up here on the Highveld on Johannesburg’s congested roads, I think not. Nevertheless the 20 litre tank is cheap enough to fill up (at the moment) and will ensure good range. 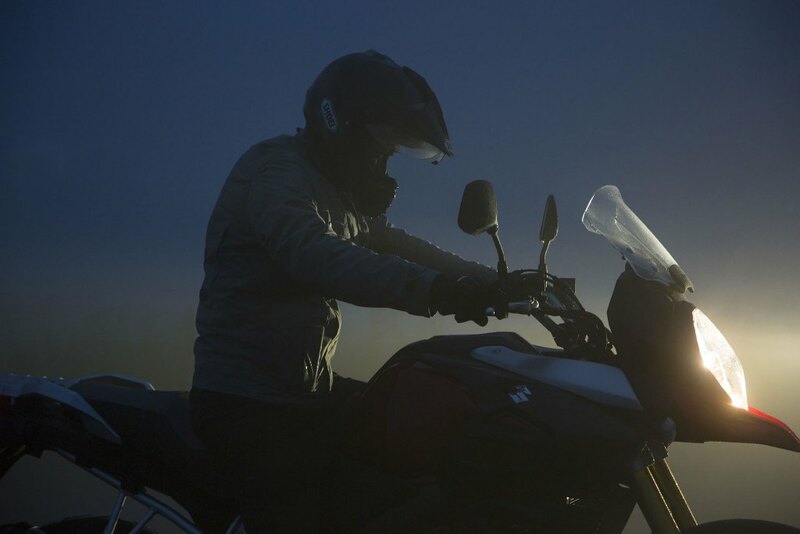 Thanks to well thought out ergonomics and an adjustable wind shield, the V-Strom is best suited on the open road. Click into 6th gear, lay back and let the torque do the work. However one criticism is the indicator switch, which is sometimes stubborn to cancel, this is not only irritating but also dangerous. The 43mm KYB upside down forks are fully adjustable, as is the rear shock. The ride is comfortable and able to cope with all day to day occurrences, whether this be climbing a few curbs or smashing a few unseen potholes. Thanks to the wide handle bars up front, manoeuvrability is good, however this is still a big bike. Thanks to the slim tank however, the seating position is really comfortable and you are in a commanding riding position. From an electronics perspective, you will be happy to note that the new V-Strom comes with ABS and a two stage traction control system. On level 2 it is very intrusive and steps in as soon as it picks up real wheel slip. On setting 1 there is a bit more freedom, and you also have the option of turning off the system altogether. Note however that ABS is permanently on. This is probably because of the serious Tokico radial mounted brakes which provide excellent stopping power indeed. 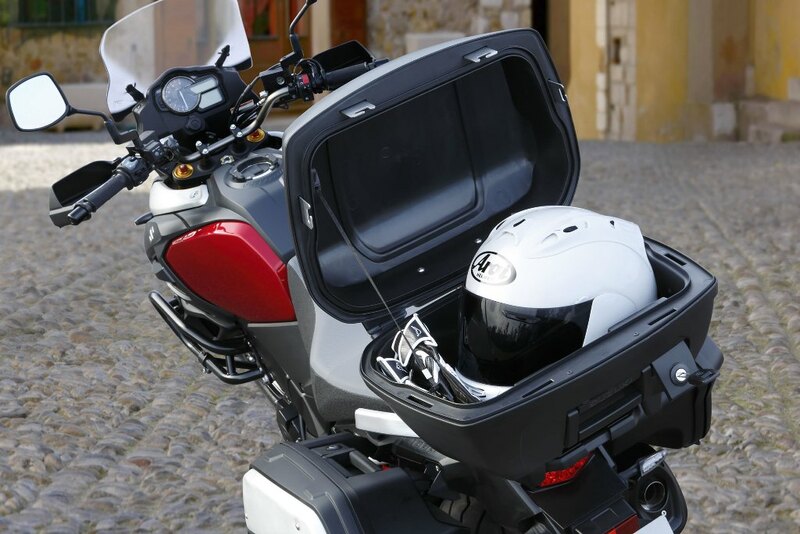 Options for the new V-Strom include rear panniers and a top box, a centre stand, and bash plates. It also comes with a 2 year unlimited mileage factory warranty. The fact is, Suzuki have made a very comfortable, no frills long distance adventure bike, the reason I say adventure is because it is able to tackle South Africa’s dirt roads and pothole laden tar roads. No it won’t be able to clear the table top at dirt bronco’s but let’s not forget that it can cruise through Magaliesberg with the breakfast run warriors with no hassles. Not only that, but when you stop at Wimpy you won’t have piles either. All-round a solid package. Just sort out that indicator switch and fit an aftermarket pipe to open up that awesome V-Twin roar.